He's finally headed back to open water after all these years. You know what they say: "The seaweed is always greener in somebody else's lake." But we're pretty sure Louie the Lobster doesn't give a flying flounder what color the seaweed is. He'd rather just be in a lake (or the ocean, rather), period. The 22-pound lobster has been calling Peter's Clam Bar in Island Park, New York his home for 20 long years. Soon, though, he'll be devotin' full time to floatin' (or crawling, look we like The Little Mermaid, okay?). As the restaurant's owner, Butch Yamali, explained to ABC News, it was time to let the lobster live his best life...under the sea. "He became a little aggressive," Yamali said bluntly. He's owned the restaurant for four years, and he "inherited" the crustacean when he took over ownership of the place. "We really can't sell him and we really can't eat him because the meat would be too tough. He became like a pet." He might be regarded as a "pet" by the restaurant's management, but the locals have a different perception of Louie. You'd think they'd have taken a liking to him after all these years, but as it turns out, they've actually requested to eat him on numerous occasions. "They just want to cook him to see what happens. I don't want to do that. I can't do it," Yamali said. He decided instead throw Louie a goodbye bash last Friday, and then release him into the wild at Reynolds Channel. Of course, the lobster had to be officially pardoned first. That duty was taken on by Hempstead Town Supervisor Anthony Santino. Lest you begin to worry about Louie's chances of surviving out there in the wild waters of his youth, never fear. According to Robert Bayer, executive director of the Lobster Institute at the University of Maine, he should be starting a hot crustacean band in no time. "It's not the ideal place to let it go, but I think he'll be fine," Bayer told ABC. 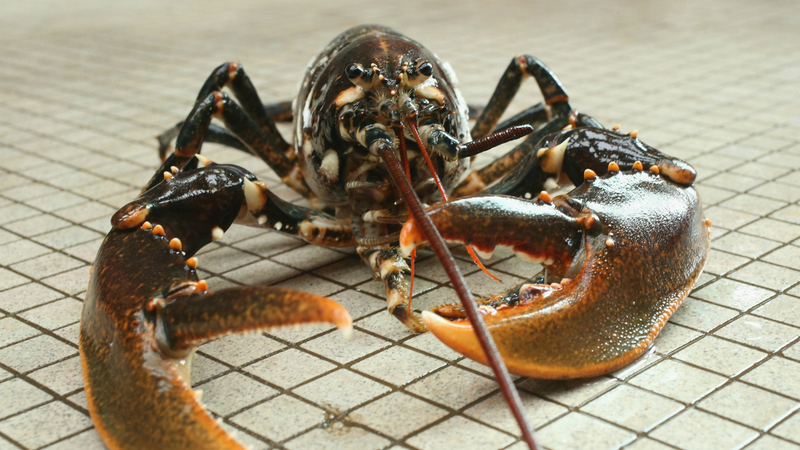 "If the water quality is reasonable that lobster will be fine. They run basically on instinct so it should be able to find food." Phew. Meanwhile, Yamali now has to deal with the loss of a familiar face in his restaurant—a loss he calls "bittersweet." Still, as he told the news outlet, "We know he's in a better place."